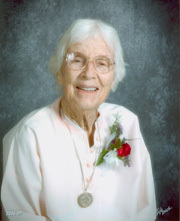 Mrs. Helen C. Cannon was a true pioneer for women’s golf and the overall golf community in the Las Vegas area. She was a distinguished champion, winning the Women’s Nevada State Amateur, the Women’s Southern Nevada Amateur and several other titles, and she also took time to give back to the game and help grow the sport of golf. She attended the University of Wisconsin and majored in physical education, but her first reaction to the game of golf was that it was dumb. That soon changed. Cannon helped create girls high school golf, and also helped in the original development of Las Vegas Golf Club, when individual families purchased and helped build each hole. She is a past president of the Women’s Southern Nevada Golf Association, and also served in several different leadership roles on the local, state and regional levels.